One of the more alarming anecdotes in “Fire and Fury,” Michael Wolff’s incendiary new book about Donald Trump’s White House, involves the firing of James Comey, former director of the F.B.I. It’s not Trump’s motives that are scary; Wolff reports that Ivanka Trump and Jared Kushner were “increasingly panicked” and “frenzied” about what Comey would find if he looked into the family finances, which is incriminating but unsurprising. The terrifying part is how, in Wolff’s telling, Trump sneaked around his aides, some of whom thought they’d contained him. 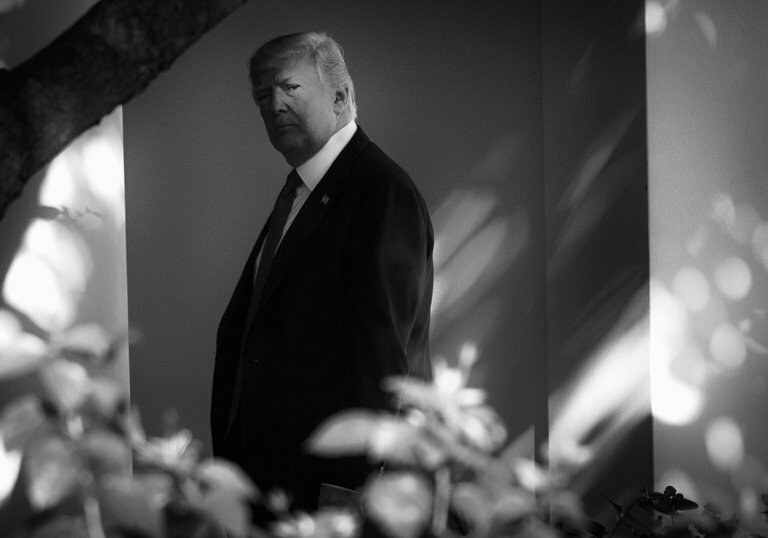 “For most of the day, almost no one would know that he had decided to take matters into his own hands,” Wolff writes. “In presidential annals, the firing of F.B.I. director James Comey may be the most consequential move ever made by a modern president acting entirely on his own.” Now imagine Trump taking the same approach toward ordering the bombing of North Korea. According to Wolff, Treasury Secretary Steven Mnuchin and Reince Priebus, the former chief of staff, called Trump an “idiot.” (So did the media mogul Rupert Murdoch, owner of Fox News, though he used an obscenity first.) Trump’s chief economic adviser, Gary Cohn, compares his boss’s intelligence to excrement. The national security adviser, H. R. McMaster, thinks he’s a “dope.” It has already been reported that Secretary of State Rex Tillerson called Trump a “moron,” which he has pointedly refused to deny. This is a delusion as wild, in its own way, as Trump’s claim that the “Access Hollywood” tape was faked. Some of the military men trying to steady American foreign policy amid Trump’s whims and tantrums might be doing something quietly decent, sacrificing their reputations for the greater good. But most members of Trump’s campaign and administration are simply traitors. They are willing, out of some complex mix of ambition, resentment, cynicism and rationalization, to endanger all of our lives — all of our children’s lives — by refusing to tell the country what they know about the senescent fool who boasts of the size of his “nuclear button” on Twitter. Maybe, at the moment, people in the Trump orbit feel complacent because a year has passed without any epic disaster, unless you count an estimated 1,000 or so deaths in Puerto Rico, which they probably don’t. There’s an old joke, recently cited by Josh Marshall of Talking Points Memo, that describes where we are right now: A guy falls from a 50-story building. As he flies by the 25th floor, someone asks how it’s going. “So far, so good!” he says. Eventually, we’ll hit the ground, and assuming America survives, there should be a reckoning to dwarf the defenestration of Harvey Weinstein and his fellow ogres. Trump, Wolff’s reporting shows, has no executive function, no ability to process information or weigh consequences. Expecting him to act in the country’s interest is like demanding that your cat do the dishes. His enablers have no such excuse. Expecting him to act in the country’s interest is like demanding that your cat do the dishes. His enablers have no such excuse.